If you struggle coming up with different gift ideas then there is no need to look any further, because Burt’s Bees has taken all of the thinking and hassle away for you. They have put a lot of time and thought into producing these wonderful little gift sets jam packed full of goodies. The Head to Toe Starter Kit is an absolute favourite because it contains mini versions of the best selling products. 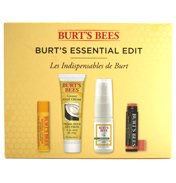 Perfect as a gift, but also great for yourself as it enables you to try sample sized products, which is a more affordable way of getting an introduction to Burt’s Bees. The Essential Body Kit is another great way of falling in love with their product range. 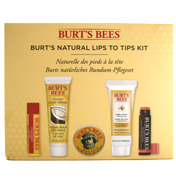 Three dinky sized tubes of Burt’s Bees essentials, plus a lip balm and hand salve is another way of becoming more acquainted with the brand. 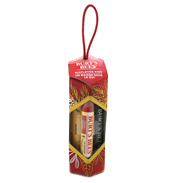 As a gift you can introduce family and friends into the Burt’s Bees way of thinking, that is naturally, lovingly produced skin friendly products. In fact their products average an amazing 99% natural content – with some actually being 100% natural which is pretty astonishing really. Look after your digits with the Tips and Toes Kit which is a gift set specifically for hands and feet which will enable you to make them look, feel and smell pretty again! Stock up for yourself or others and you will not be disappointed.